We have reached the midpoint of our Advent season. Today is the third Sunday of Advent. You may have noticed that we have lit our rose-colored candle on the Advent wreath. You will also notice that the priest will be wearing a rose-colored vestment. Traditionally, the third Sunday of Advent is known as Gaudete Sunday. The word Gaudete is Latin, which means rejoice. The rose color is produced from a mixture of the Advent purple and the Christmas white. It is a clear sign that Christmas is coming soon! We rejoice that the Lord, the Word made flesh will come to us as a child. St. Paul reminds us today in his letter to the Philippians to rejoice always. The Lord is near! We must not worry or be anxious, because the Lord will come to bring us salvation. For that my sisters and brothers, we rejoice! On this Gaudete Sunday, let us pray that Christ will continue to bestow his abundant blessings upon each of us as we prepare to celebrate his glorious birth. We are invited to bring that joy to all of God’s people this Advent and Christmas season. This weekend there will be prayer cards available with the schedule of Masses for Christmas on it. I invite you to take one for yourself and maybe another few for friends and family. I would like to ask each of you to invite someone to Mass this Christmas. We get a lot of invitations during this time of the year, but this invitation may save someone’s life. Let us invite people to a relationship with Jesus Christ, our Savior and King. We will have Advent Lessons and Carols this Tuesday December 18 at Holy Rosary Church beginning at 7:30PM. Lessons and Carols during the season of Advent is a traditional ceremony with readings from sacred scripture and Advent carols, preparing ourselves for the birth of the Savior. 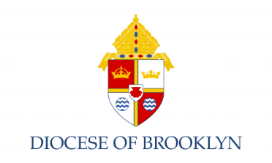 This year we will welcome His Excellency, Most Reverend James Massa, Auxiliary Bishop of the Diocese of Brooklyn as the presider. Please be sure to join us. The children of our parish Faith Formation Program will perform the story of Christmas at the Family Christmas Eve Mass which will take place at St. Peter Claver Church at 5:00PM. Rehearsals have begun for this pageant. Any child who would like to participate in our Christmas pageant can contact Ms. Michelle Joseph or Ms. Tamika Daniel for more information. During the Christmas season, each of our three churches are beautifully decorated with colorful poinsettias. Each of you are invited to have a poinsettia donated in memory or in honor of a loved one. Christmas flower envelopes are available at the doors of each of the three churches. You can fill out the envelope and place it in the collection basket or bring it to the parish office. P.S. I mentioned at the Masses that I celebrated last week that I am in California this weekend. I am officiating a wedding for a college friend at the former Crystal Cathedral (now Christ Roman Catholic Cathedral). It has always been a dream of mine to see this amazing place! I grew up watching Robert Schuller’s Hour of Power. Please keep me and this awesome couple in prayer!